05:59 alist developers ltd., for women all over. Do you think only this DAY is special! – Then you are wrong! Don’t you know how special YOU are! Then again you are wrong! Are you wondering what's there to be celebrated on a Woman's Day? It's time you woke up and REJOICED! Stop worrying now! Because it is HE who made it very clear even on the day of Creation, that the creation is not complete without the Woman! It is only after He created woman that He went for rest. God Almighty Himself felt that a man can’t live alone, he needs a woman to make his life complete. Don’t worry about the men who say that they are the 'Superiors' and we women are 'good for nothing.' You don’t have to worry or feel inferior to them; rather you should pity them for their ignorance that makes them think like that. Even though when the first woman Eve was instrumental in committing the first sin, our Lord forgave her. He did not leave, hate, or neglect Womankind for that. God wants us to be like Him who offered Him as sacrificial offering for our sins. Let's begin with forgiving others for their shortcoming in understanding us. No matter if you could not win a place in your father’s or brother’s or husbands heart even though you love them wholeheartedly. Just surrender your whole heart to our Lord Jesus and start to pray earnestly at His feet and read the Bible everyday! Then do remember we are being loved by Our Almighty God and He is the one who knows everything about us. In Him alone you can find a good Father, a brother, and an ever-cheerful friend who promises to never leave you. His love is unconditional. Why don’t You give a trial? Give first place to our lord Jesus in your heart and I guarantee you miracles and wonders in your life. Come on begin a new life from today! 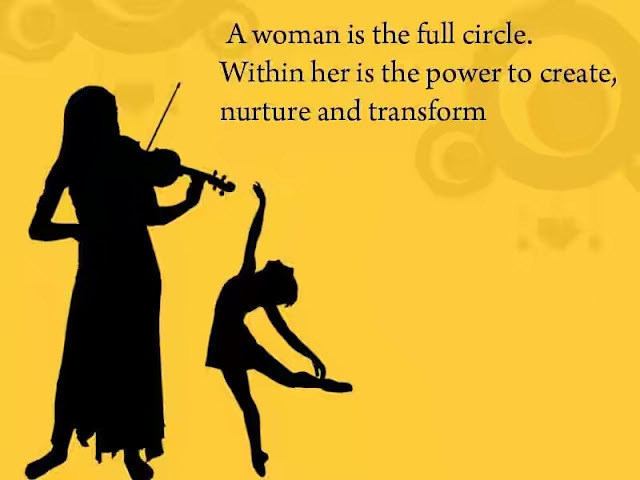 WISHING YOU A HAPPY & VICTORIOUS WOMEN'S DAY!